The last several weeks in Melbourne have been wet, cold and windy, weather that lends itself to a carport that you can drive under to help you and your car stay dry. Which is why, if there’s one time of the year when a Melbourne carport pays for itself many times over, it’s winter. But what if you don’t have a carport for your Melbourne home? How can you build a carport that will keep you and your car protected during winter and other times of the year? 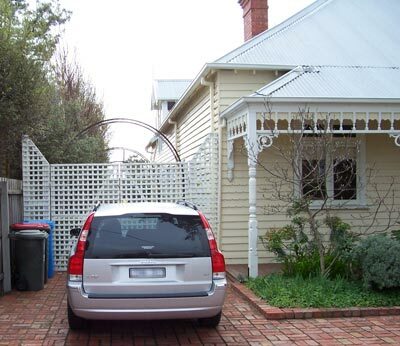 One of the keys, if you’re thinking of building a carport for your Melbourne home, is location. Get this right and you and your car will be well protected from virtually anything Mother Nature can throw at you. First and foremost, the best location for your Melbourne carport if you want protection from the elements is adjoining your home. Not only will your house help protect you and your car from the rain, wind and sun, it also makes sense as you’ll only have a short distance to walk from your car to your home. Perfect if you have handfuls of groceries! In Melbourne, the predominant winds come from the westerly direction, so, if you have a choice, a carport located on the east side of your home is ideal as it will provide the maximum protection. What if you can’t locate your carport on the east side of the house, however? There are ways around this. For example, you could infill one side of your carport (or the two sides and end) to beef up protection. A permanent solution like a carport wall is one way to do this, however, you could also consider outdoor blinds or even a living wall such as a hedge. If you want the ultimate protection – and luxury – you might even consider a remote control garage door for your carport. While doors are more commonly seen on garages there’s no reason you can’t design your carport to include one. When you’re ready to provide protection from the elements for you and your car, we’re ready to help. Phone Mr Carports in Melbourne on 1800 557 782 and we’ll organise a time for a free discussion, carport design and quote. The before and after of a Melbourne carport project clearly demonstrates the protection a carport can provide. ‹ When is a Brisbane carport not a carport?